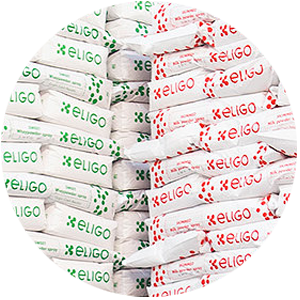 Eligo a.s. deals with production and direct selling of dried dairy products. It also offers the service of drying, where throughout the whole proces from raw material to final stage, the product constantly remains the property of the customer. 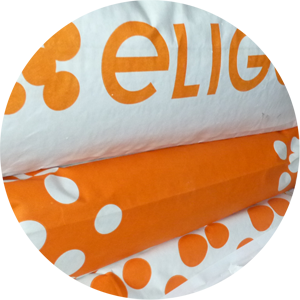 All products, if there is no other specification from the customer, are packed in standard 25-kg bags, which are multi-layer paper bags with polyethylene lining. In case of interest, please contact our Commercial Department. Milk residue from hard cheese production. Milky white powder, soluble in water, manufactured by drying of liquid skimmed milk in a spray drier using hot air blasting after previous pasteurization. Dried Yoghurt is manufactured by drying of liquid yoghurt in the spray drier using hot air blast. Blend milk products are produced by mixing whey and skimmed milk at the ratio specified by a customer. Our company is fully at your disposal in case of your interest in other dried products according to your needs, including preparation of blended products. Due to high price of liquid milk and changing in its pricing, the popularity of dried whey is still growing. Dried whey´s positive effects and the main reasons for its usage are the ability to substitute for dried milk and its friendly price. But whey is not only the substitution for milk. We can still find new areas to use dried milk and whey where they have never been used before. 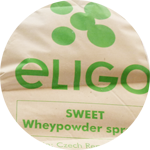 In its factories Eligo a.s. produces dried whey which can be crystallized and non-crystallized. Liquid whey is the milk residue from hard cheese production. Dried whey powder is produced during the process of water evaporation, milk sugar, proteins and minerals become concentrated. Residual albumin and globulin have a high nutrition value. Since the human body cannot produce essential amino acids and their deficit can lead to various disorders, this problem can be solved with the help of whey and whey products. Raw materials – sweet whey is the milk residue from hard cheese production. Its content meets the Czech food requirements. Team of specialists from the Quality and Business department choose supliers according to audits. 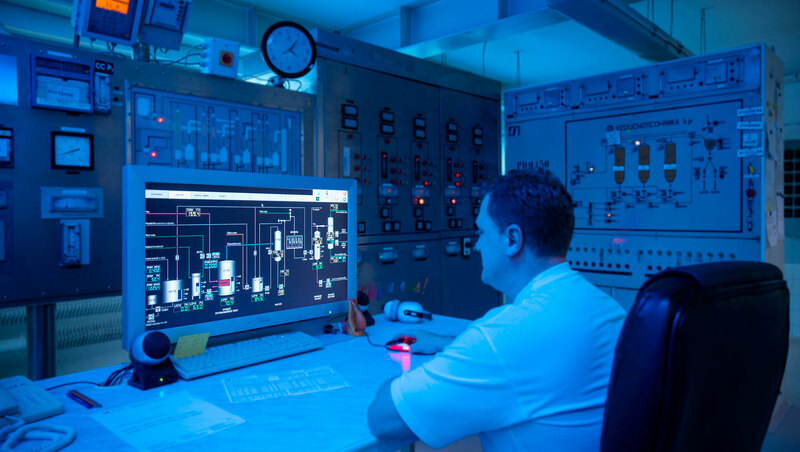 Raw materiál quality controls are carried out daily in our factory laboratories. The production proces in factories is supervised by local veterinary authorities. From the customers point of view, whey is a very interesting and rare raw material, which was used in the past due to its valuable properties. Dry whey has excellent nutritional values and we expect that it will be used in future for more purposes. 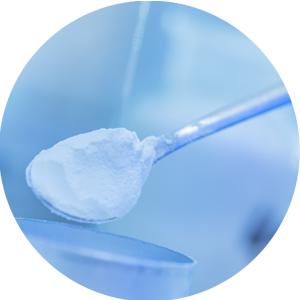 In industrial production of beverages, sweet whey powder is used for its property, which are: water binding, gel creating so called „juice effect". It brings increased content of dry matter, gelation and visually significant liquid thickening. In beverage form it also brings an increase in energy value, as well as an ideal amino acid spectrum. Sweet whey powder is used in production of pastry and baked products, where its lactose or milk sugar is an asset. It also brings visual colour improvement (fast lactose caramelization). We also can use it in the production of nougat. In the bakery, dried whey improves dough yeasting and after baking products have a better color and crispier surface. Bread remains fresh for a longer time. In manufacture of wafers sweet whey powder prevents desiccation, substitutes more expensive dried milk and improves flavor and texture of pastry and filling. Usage of sweet whey powder in chocolate and candy bars partly substitutes more expensive dried milk, increases crispness, enhances flavor of fruit components. Sweet whey powder can also be used in production of ice-cream, sorbets and ice-creams with milk adding (classic or contain vegetable oils). Due to dried whey added during the production proces, they allow better whipping and thus better yield. Taking into consideration a significant price difference comparing to dried milk, dried whey usage bring better economic results in cost savings. Sweet whey powder can be used in dairies. Due to its ability to bind water and decrease demand of salt during processing, it can be recommended to processed cheese producers. It should be mentioned that it also allow for substitution of some dry matter and thus has a positive economic effect. Sweet whey powder can be used in other dairy products eg. chesse and butter spreads etc. 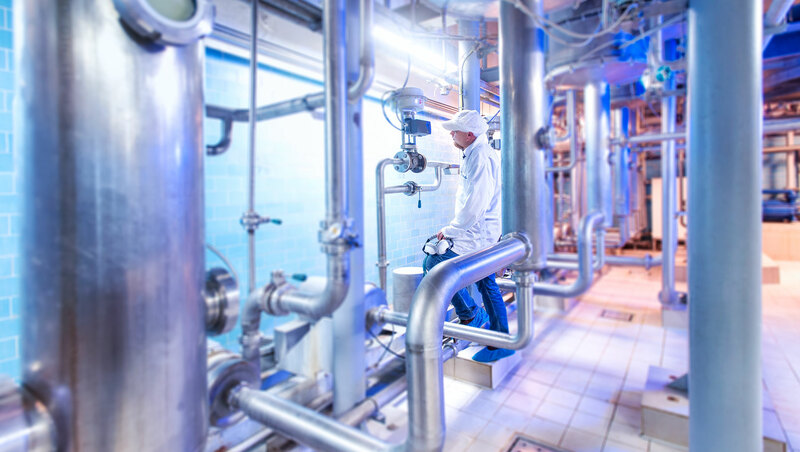 In meat industry water binding property is very important too, especially in production of smoked meat and sausages, soups and ready meals in general. Sweet whey powder is also a suitable source of cheap protein and has become an ingredient in production of many smoked meat goods, eg. patés (improves whipping and flavour) and white sausages. 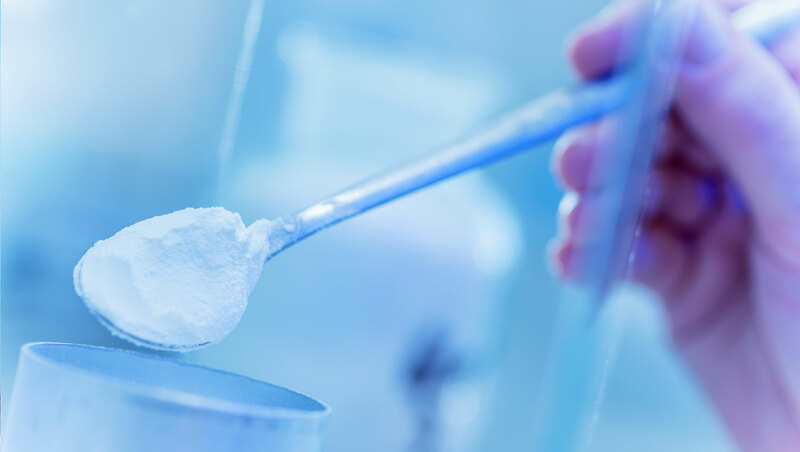 In production of feeding mixtures sweet whey powder is used because of its water binding property and better digestibility and due to better economic results. It should be done with respect to whey binding to very acidic additives. In milk feeding mixtures it can be present up to 10 %, in piglet prestarters from 6 % of mixture and in other mixtures 3-5 %. In cosmetic industry sweet whey powder is used for production of creams, shampoos, bath gel and burn ointment. On-going research in this field is still coming up with new ideas of its usage. Specific whey properties are used by doctors in treatment of atopic eczema in small children. Here the whey only from high-warm cheeses, eg. Gruyere, is used. Dried whey is also used by producers of various ointments and lotions. Sweet whey powder is used in production of energy drinks for sportsmen. 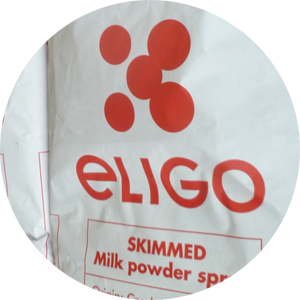 Dried skimmed milk is a milky white powder, soluble in water, produced by drying of liquid skimmed milk in a spray drier using hot air blasting after previous pasteurization. However, the product is not suitable for babies under 12 months of age. Yoghurt powder is produced by drying of liquid yoghurt in a spray drier using hot air blast. The yoghurt for drying is produced from top-quality, pasteurized skimmed milk by souring it with yoghurt culture to reach the appropriate degree of acidity. Dried yoghurt is a top-quality product intended, first of all, for post-processing in food industry. It can be used in sweets production (production of coatings, fillings, flavours) in production of dressings and sauces, for preparation of loose instant mixtures etc. However, the product is not recommended for nutrition of babies under 12 months of age. This range of product offers milk and whey mixing at a ratio requested by a customer. The basic products of this range are mixtures with 17% and 24% of protein. Our company is ready to meet your demands if you are interested in other dried products. If you can not find the product that you need in the mentioned above list, please, do not hesitate to contact our Commercial Department. We will be glad to sort it out.